It has been a yearly tradition of my office batchmates/tropa to go on out-of-Manila trips after the toxic busy season, and for 2011, Coron’s first in our list. Right after busy season, we availed of the promos of different airline companies and booked our August-trip to Coron. After booking, we searched over the net for affordable packages for 3 days and 2 nights (3D2N) and below was our choice. Day 2 – CORON: Island Hopping and Snorkeling Even if it’s Raining! — Bad side: There’s a big tuko that scared one of my companions hehehehe! CORON: Island Hopping and Snorkeling Even if it’s Raining! Hi , where is Kopi Doki exactly located? Is the place near in Coron Town proper? Kopi Doki is located just in front of Coron gen. hospital; which is along the “Coron Nationa Hi-way”. The place is about 5-7 mins away from the Coron Town proper via tricycle (the fare would be about P10/pax). 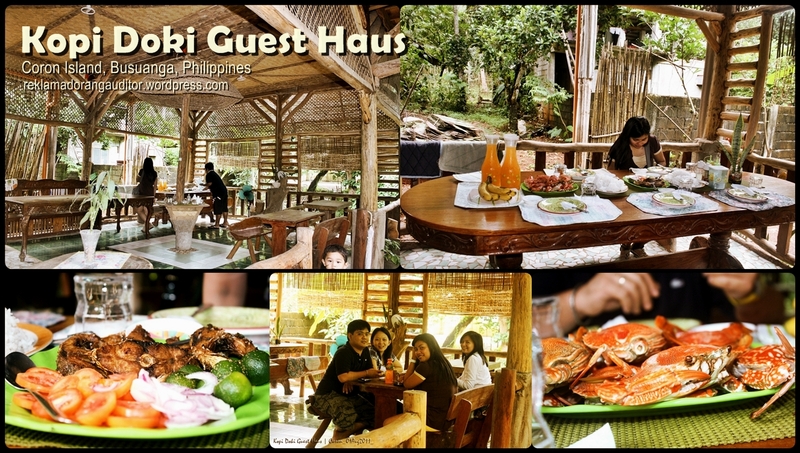 You may contact Ate Malou – 0927-2967226, for the Coron Tour Package, including accommodation. I think the rate per night per room at Kopi Doki is about P2,500. Thank you Resident Slacker. I will definitely check on them. Hi.. I’m so grateful that i found your blog before going to coron next month.. were planning to stay at kopi doki guest house as well.. and im quite confused how does it looks and how’s the food that they serve..
Hi, how far from town yung Kopidoki guesthouse? 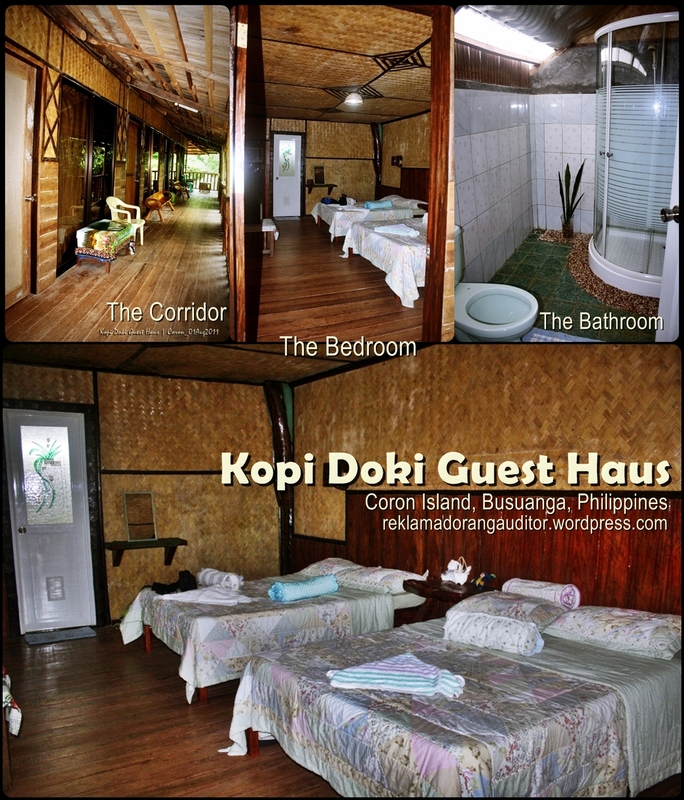 We are planning to go to Coron and sa mga nacontact kong accomodations, so far Kopidoki has given the best package. Would you recommend the place? relaxing ba sya? Ano’ng nearby hotels/lodge (within walking distance)? Sensya na dami tanong, wala kasi akong makitang ibang reviews tungkol sa Kopidoki. Hello po. Kopi-doki is about 5-7 mins away from the Coron Town proper via tricycle (the fare would be about P10/pax). Ayus naman yung Kopidoki nung pagpunta namin…unang impression nga lang eh medyo hindi maganda yung itsura sa labas–kase parang old house ung itsura. Pero ok naman yung rooms nya, malinis, malaki–parang 3 queen-size beds sa isang room, may aircon, tv, at ok naman ang CR. Tapos maayos naman yung pag-serve ng food. Hindi ko na matandaan kung anu pang ibang hotels/lodge na malapit sa town proper eh. 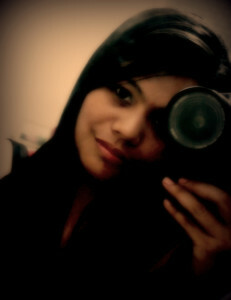 Hi your blog is very informative..You said there’s a gecko (tuko) sa kwarto ba nila yun? Ilang rooms mayroon sila? 68,470 slackers visited this blog! :) Thank you very much!